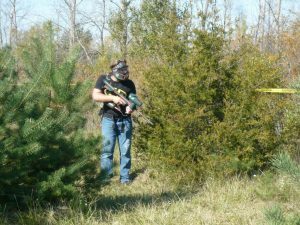 In 2005, I got a paintball gun from my wife for Christmas (yes, I blame her for my paintball addiction). 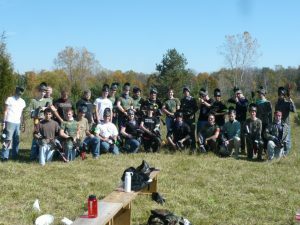 I had a public woods to play in, and a few friends that also had paintball equipment who could join me. 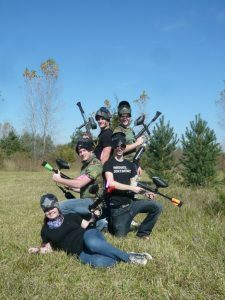 I also had some friends that did not have their own gear, but wanted to play, so I decided to buy as much cheap paintball gear on Craigslist as possible to get them in the game. 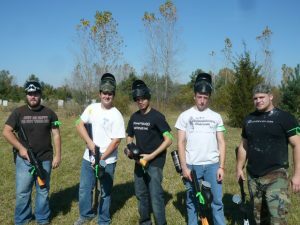 Eventually, I was asked to host a friends bachelor party, then a youth group event, etc., etc.. Several years later, I am incorporated, I have wholesale accounts with all the big paintball providers, and I have replaced all my cheap Craigslist junk with reliable paintball products, which I personally clean and maintain after every outing. 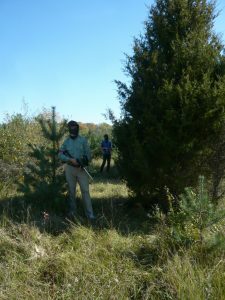 Have a woods or field of your own? 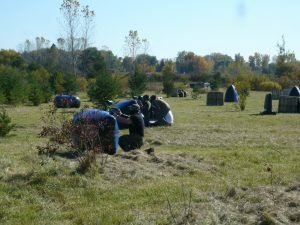 Stew’s Paintball can bring the action to you! 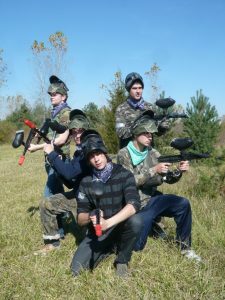 We have all the gear to host your bachelor party, dorm or fraternity outing, youth group event, company outing or any other paintball event and we can do it for less! 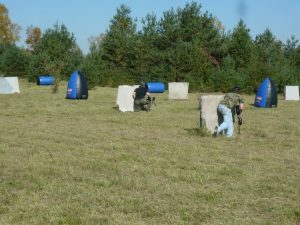 Whether it’s standard paintball play or a shooting booth, we can bring the fun. Take the safety off. 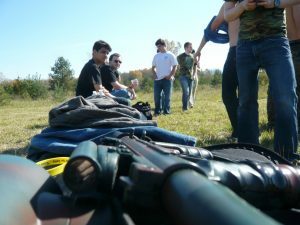 Go have some fun!